USGBC Alabama's Energy Benchmarking Jam brought together community members and local organizations to talk about green energy. 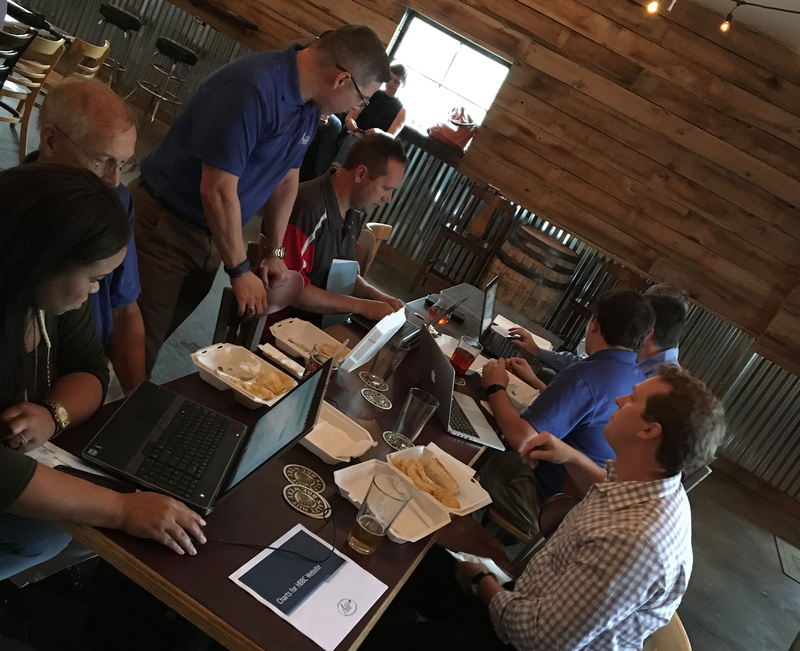 On July 28, USGBC Alabama’s newest ADVANCE Ambassador, Daniel Tait—CEO of Energy Alabama—hosted our first Energy Benchmarking Jam. This community event was held at the new Salty Nut Brewery in Huntsville and brought together various community organizations, including the Von Braun Center (Huntsville's largest convention center), and the Girl Scouts of North Alabama. Other individuals from throughout Huntsville entered energy data for their own personal places of interest, such as their church or child's daycare. "We had a blast! It was great to get together with people, roll up the sleeves and get to work," said Randy Buckner, Director of Research and Development for Avion Solutions and one of the energy experts in attendance. "I really think we need more of this in our community." Participants also discussed the Huntsville Better Buildings Challenge, a local competition to document energy and water use and to reduce energy consumption by 20 percent in participating buildings. Modeled after the Department of Energy's challenge, this is a fun way to get local businesses more involved in energy efficiency and discovering ways they can improve their operations and save resources. "This benchmarking jam is the first step," said Daniel Tait. "This is where we show people the magnitude of the opportunity in front of them to increase energy efficiency and reduce expenses. It usually gets them pretty excited."